Florence Tolbert was able to remember the precise moment when the practice of mindfulness became part of her being, not merely something she was doing. 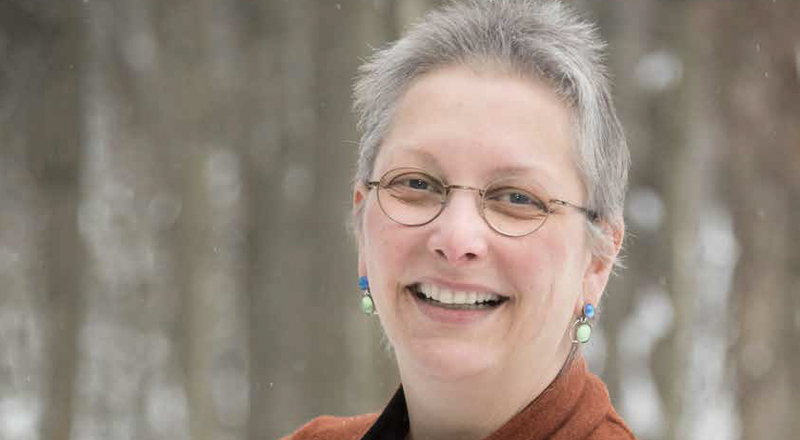 Tolbert, a 50-year-old resident of Randolph, Vermont, was undergoing treatment for breast cancer for the third time since an initial diagnosis in 2001, but died recently as a result of the disease, which had reached stage 4. She had started taking mindfulness classes at her cancer center in 2012 after reading a flyer that touted the stress-reducing benefits. Practicing mindfulness became a daily part of Tolbert’s life, as sacrosanct as brushing her teeth. Sounds too simplistic or too good to be true? People who study the therapeutic benefits of mindfulness say the effects really can be that dramatic. The not-sosimple part lies in learning how to put the practice to work for you. In short, it’s a way of letting go of what you cannot change and becoming comfortable with what is happening in your world right now. It sounds deceptively simple, but in reality, changing how you view and react to your thoughts is an extremely challenging task. Like anything new that you try to learn — playing guitar, mastering a complicated recipe, starting a new job — being mindful takes time and practice. Although mindfulness can simply mean focusing fully on a daily activity, such as breathing or eating, the technique is generally done through formal practice, which is a type of meditation. That can involve assuming a comfortable (usually seated) position, closing your eyes and noticing each breath as you inhale and exhale. Here comes the hard part: When a thought enters your mind (“Does that pain in my side mean the cancer is back?”), you are instructed to notice it (“Hmm, this is what fear related to my pain feels like”), and then bring your focus back to your breathing and let the thought go without judging, dissecting or acting on it. 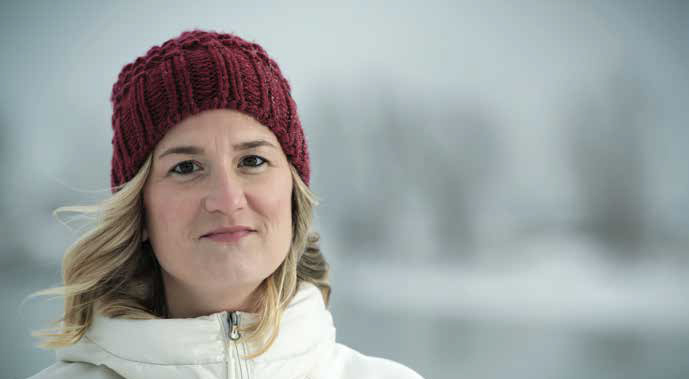 “The goal is to focus on the events in your life as they truly are instead of ruminating about what could have been or what might still be,” says Linda Carlson, Ph.D., professor of psychosocial oncology at the University of Calgary in Alberta, co-author of Mindfulness-Based Cancer Recovery and a member of CURE®’s advisory board. Mindfulness, Carlson says, is perfectly suited for people with cancer and their caregivers: “There are so many uncertainties associated with the disease, and it touches every part of a person’s life. It’s easy to let thoughts spiral negatively out of control.” Making the decision to mindfully let undesirable thoughts go can make a remarkable difference in how you experience life. The roots of mindfulness go back thousands of years, with ties to both Buddhism and Hinduism. In the Western world, most practitioners credit Jon Kabat-Zinn, Ph.D., with shepherding in the modern-day mindfulness movement. In the late 1970s, Kabat-Zinn founded the Center for Mindfulness in Medicine, Health Care, and Society at the University of Massachusetts Medical School in Worcester. His eight-week mindfulnessbased stress reduction (MBSR) program continues to be widely taught and practiced nationwide. Research continually shows that mindfulness benefits both body and mind, and may be especially helpful for people who are under tremendous amounts of stress, such as those who have cancer and their caregivers. Findings of a study conducted by Carlson in 2000 showed a 65 percent reduction in stress symptoms, such as stomach upset, nervousness, muscle tension and fast heart rate, as well as a reduction in mood disturbances, including anxiety, depression and anger, among cancer patients who attended seven consecutive weekly mindfulness sessions. Participants also practiced daily mindfulness meditations at home. “We continue to find that the physiological relaxation response brought on by mindfulness eases pain, promotes better sleep, reduces inflammation, and improves blood pressure and heart rates among patients with cancer and caregivers alike,” Carlson says. In other research, Carlson found that mindfulness interventions had measurable biological effects — they slowed cell aging and maintained or slowed the shortening of telomeres (the tips of chromosomes) among women with breast cancer. “Every time a cell divides, the telomere becomes shorter and frays. Over the years, this change can be a risk factor for a number of diseases, including cancer, heart disease and diabetes,” Carlson says. In addition, mindfulness may aid post-surgical recovery and ease pain. The results of a 2017 pilot study found that people with lung cancer who practiced mindfulness before and after lung resection surgery experienced fewer postoperative complications and had better lung function. 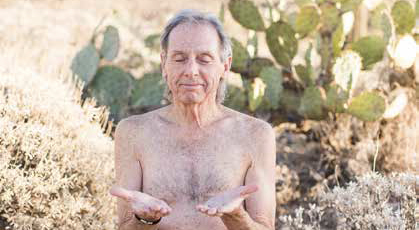 Based on those preliminary findings, Robert Benzo, M.D., a pulmonologist and founder of Mayo Clinic’s Mindful Breathing Laboratory in Rochester, Minnesota, has launched a larger investigative look at the effects of mindfulness on postsurgical recovery. Experts believe that mindfulness can rewire the brain for the better. “When you practice mindfulness, you strengthen pathways in your brain that support present-moment awareness while weakening pathways that might make you overly ruminative or inattentive to your current experience,” Carlson says. Fueled in part by these promising findings, more cancer centers are offering mindfulness classes as part of their integrative medicine programs for patients and caregivers. Some are free, and for those that are not, patients can ask their doctors or insurers whether health care plans will cover the fees. In something of a paradox, learning to be mindful can induce angst. “It’s normal to find your mind racing in different directions or to doubt whether you’re doing it right,” says Melissa Laverack, an MBSR instructor at Dartmouth- Hitchcock Norris Cotton Cancer Center in Lebanon, New Hampshire. “Having a trained instructor who can guide you in your practice, at least initially, is extremely beneficial.” The communal aspect of a class setting is also a bonus. “In Buddhism, people come together in sanghas, or communities, to support one another in the practice of mindfulness,” says Laverack. Classes can become informal support groups, laying the foundation for new friendships, she says. Still, there’s no need to attend an in-person class to learn how to be mindful. A plethora of online classes, smartphone apps, YouTube videos and books can get you started on the path. Although there are no set rules regarding where, when, how often or how long to practice, as with most new activities, the more you do it, the better you’ll get. Victorson equates practicing mindfulness with working out. The difference is that mindfulness exercises are mental, not physical. “When you start lifting weights, you may have sore muscles and lack confidence that you’re doing it correctly. With time, you start to see realworld benefits from being physically stronger: You have more stamina, better posture and simply feel better overall,” he says. “The same thing happens with mindfulness practice. In the beginning, it can be uncomfortable. You may question whether you’re doing it the right way. When Khevin Barnes started studying mindfulness at the Palolo Zen Center in Honolulu, he wasn’t sure it was a good fit. “I have a creative mind, and my thoughts tend to veer into tangents,” he says. But the practice became invaluable when, three years ago, he received a diagnosis of breast cancer at age 62. “When you get a cancer diagnosis, you spend a lot of time inside your head figuring out what it means to you, your loved ones and your future,” says Barnes, who is a CURE® contributing writer. Another beauty of mindfulness is that it can be done anywhere, anytime. You can strive to be mindful for five minutes a day or 20 minutes. Barnes practices while sitting on a large cushion in a designated area in his home. Tolbert lit a candle and sits upright in a comfortable chair for her early morning sessions. McAlinden attends classes and also practices at home. You can be mindful while sitting in traffic, standing in line at the grocery store, conversing with a friend or undergoing cancer treatment. You can be mindful while walking, dancing, singing or eating. The key is to be fully present during the activity. “Mindful eating engages all of the senses — how a food looks, smells, feels on your tongue — to bring you an appreciation and awareness of the foods you put into your mouth,” Victorson says. This exercise can be especially helpful if cancer treatments change your perceptions of taste. Instead of despairing that a favorite food no longer tastes good, you can practice mindfulness to help find pleasure in new foods or at least release the anxiety that comes with appetite changes.